The HP Folio is the most ruggedised Ultrabook I’ve come across so far. The rubberised base and sides where the connections are certainly give it a lot of grip and it doesn’t feel like a delicate unit. Check it out on Ritchies Room. We’ll add it to the database in a short while. Update: All the details we have are now in the database. It’s a chunky one at 3.3 lbs, isn’t it? Toshiba’s absolutely crazy to try and sell i5 CPUs for $1,150 with that SSD; the UX31 smokes it for value at that price and even the Macbook air starts to look like more value. It is a chunky one. I hope the extra weight is all battery. A 65WH battery is going to give this 7hrs+ working time – useful. HP promises a 9hr battery life. If thats the case, i wouldn’t really care about the extra weight. I think not the wheigt in numbers, but the way the notebook feels is more important. And by the rubberish finnish, i guess its even more to drag with you in 1 hand for example. Will HP Ultrabooks malfunction more than any other brand just like their netbooks? I’m going through the specs and info with a fine toothcomb right now. . .
Dont really gives you the feeling to have a cutting edge piece of hardware in your hands. allthough it looks like this Ultrabook is more usefull then its Lenovo/acer/asus equilevants. The ports are fantastic, the battery life is the best on offer so far (9 hour advertised); the styling is a bit corporate (nearly identical to the HP Elitebooks) but pleasant, if they put a good SSD in it for $900 they have a winner regardless of it being a little portly. I agree with the commentators who say that they should sell the crap out of the corporate version and still do far better than they think with consumers with this one. 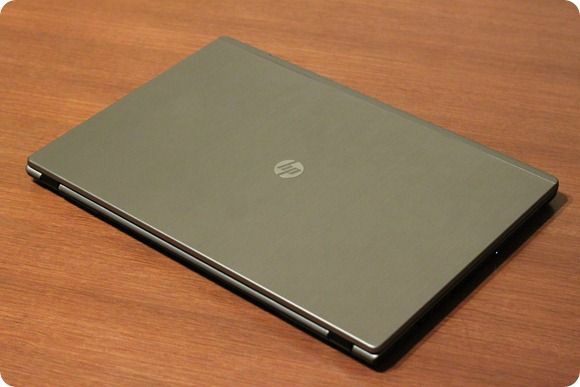 -Hopefully HP Ultrabook v2 gets a little less portly and more premium styling. It’s amazing that HP could throw this together so quickly after basically being told that they’re not going to be in the PC business any more! I look forward to their Ultrabook v2 offering knowing that they’ll have a full cycle to plan that one. Are there doors to upgrade the ram and drives, or is it not upgradable? « Galaxy Nexus Now in Product Database, CPU Details Revealed — UK Availability on the 17th?